Superbikes are about performance—and they always have been. That used to mean just a big engine and major horsepower. But for 2018 that’s not enough—a modern superbike needs to have great handling and superior engine management too. Plus, really discerning riders want to feel a connection with their machines, without too many lines of code between them and their bike. The 2018 Honda CBR1000RR and CBR1000RR SP hit it out of the park on all counts. The CBR1000RR is light, incredibly powerful, and undeniably fast. On the street and in the canyons, it’s a machine that fulfills most motorcyclists wildest dreams. Trackdays your specialty? Since racetrack riding puts special demands on any machine, let us direct you to the CBR1000RR SP. Available in limited numbers, it has all the features of our 2018 CBR1000RR, but adds premium Öhlins electronic suspension, Brembo brakes, a titanium muffler, and more. World championships have been won on bikes that the SP would leave in its dust. What a great time to be a sportbike rider. THIN FILM TRANSFER DISPLAY: TFT means an instrument display that’s lighter and easier to read than previous LCD designs. 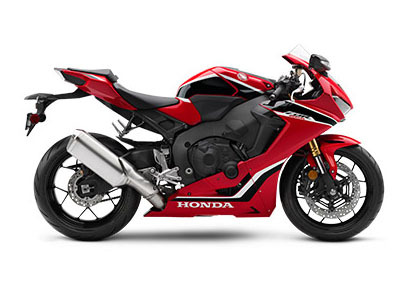 It’s a first for Honda, and it’s made its premiere on the CBR1000RRs. SLIMMER ERGONOMICS: These CBR1000RRs are much slimmer than previous models in the tank / seat junction area, and also in the upper cowl (more than 24 mm trimmer). This improves aerodynamics, and the narrow tank makes it easier to tuck in.